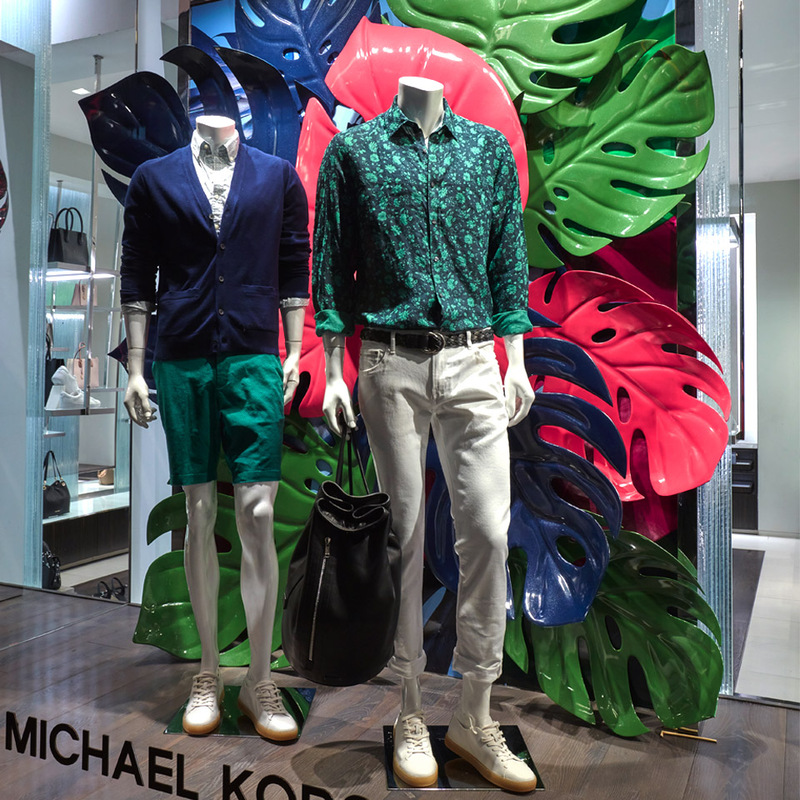 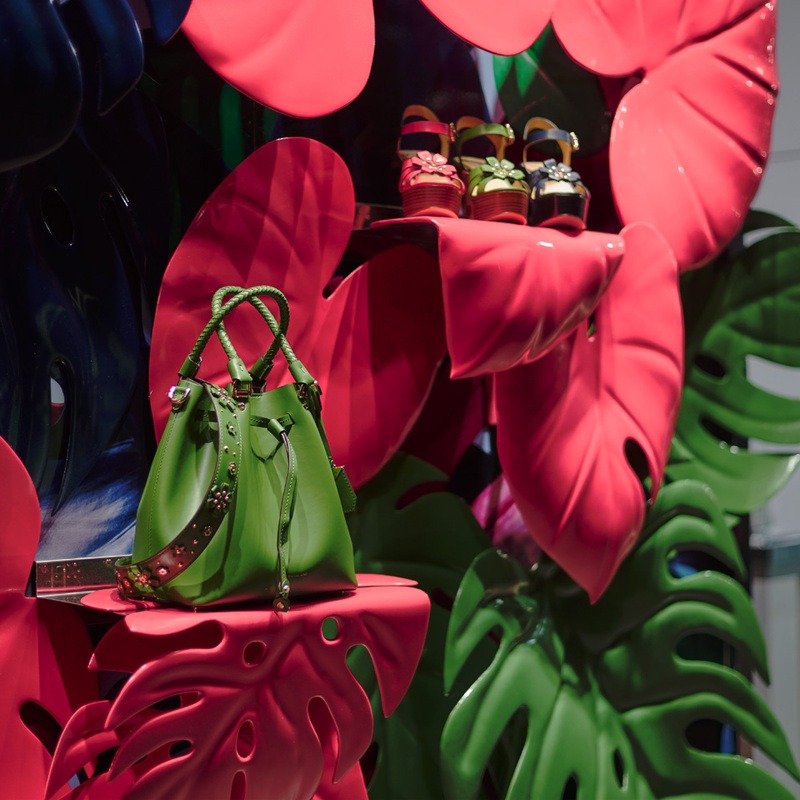 We’ve been busy working on a project for Michael Kors to launch their latest windows for the transitional season. 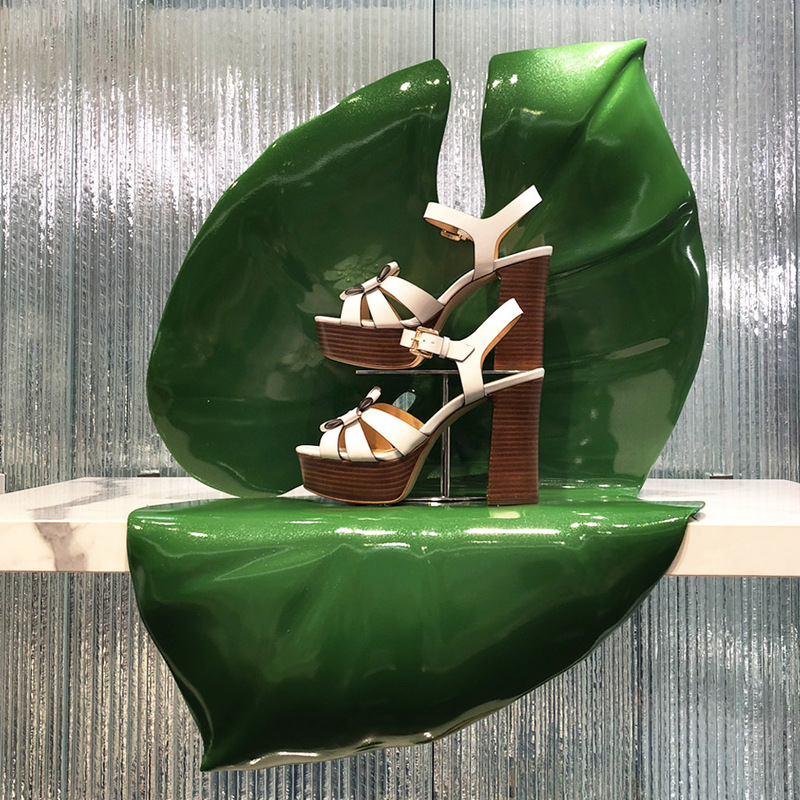 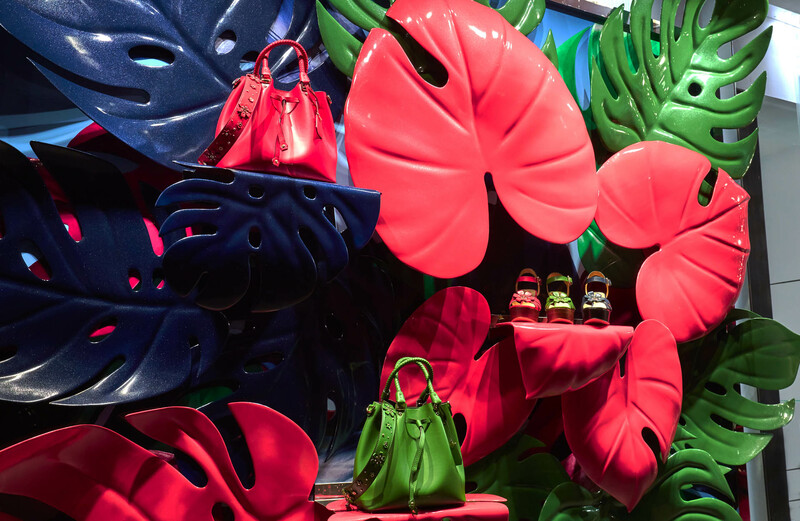 Working closely with the US and UK teams our 3D team modelled the leaves producing 12 individual moulds each with their own signature shape, curve and venation detail. 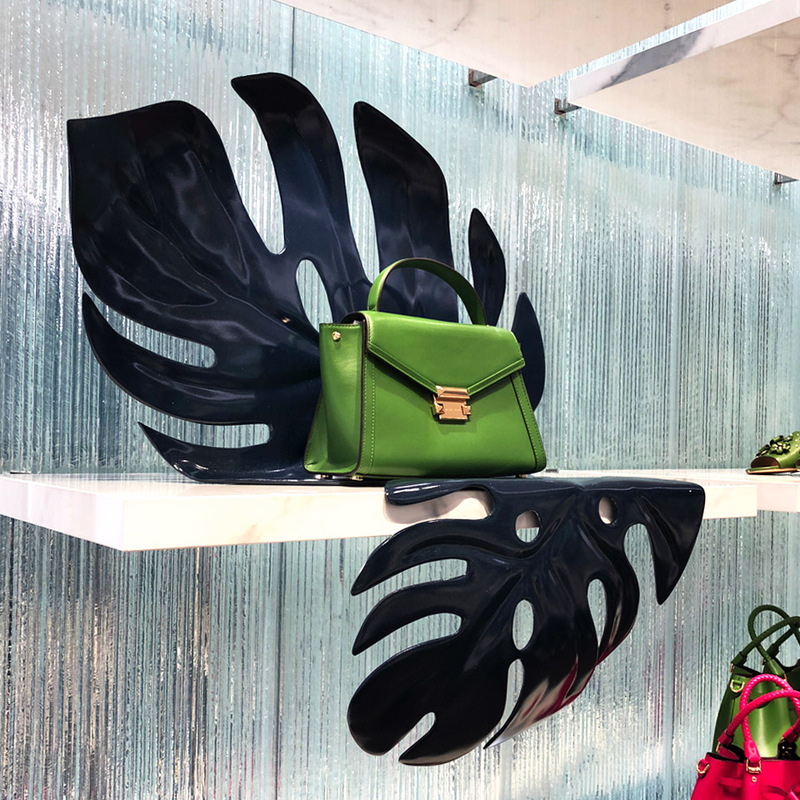 Finished with a high gloss glitter paint in three bold colours, the leaves attached in layers onto the existing magnetic walls and as freestanding fixtures. 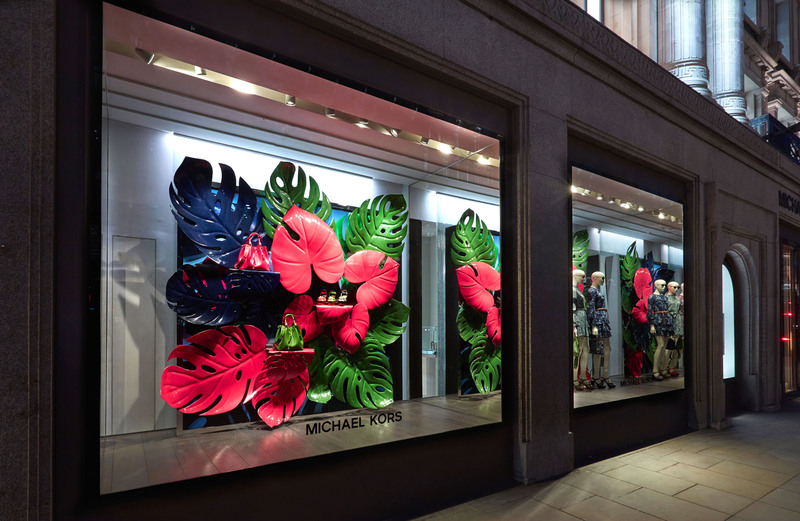 Harlequin produced, delivered and installed this display to over 50 stores in the UK at Europe including Regent Street & White City.